We invite you to join the Kingwood / Humble Aggie Moms Club. It is an excellent way to become familiar with Texas A&M, to support hometown Aggies, and to form lasting friendships. Join Our Club For 2018-2019. We Want You! You can pay for membership and goody bags all at once. Download form(s) and send to khammembership@gmail.com. We will then coordinate your payment via check or PayPal. 2. To stay connected to your child & learn the ins and outs of A&M activities. 3. 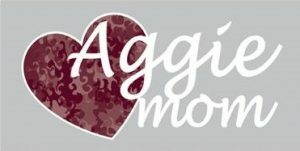 To receive information regarding Aggie Mom Club activities, A&M activities (such as football games and hotel accommodations), and to hear guest speakers from A&M.